New security measures are in place at the White House on Tuesday after a man jumped over the fence last week, and made it all the way inside the front doors before he was tackled by Secret Service officers. The Secret Service is still reviewing security protocol, but evidence of change is already apparent outside the White House, where a temporary low fence is set up in front of the taller wrought-iron fence. Before Friday's incident, that low fence was resting against the taller fence, where it could have been used to boost someone up. That second fence now runs the entire length of the sidewalk in front of the White House, providing a buffer zone between the two. Extra patrols are also in place in front of the White House and on surrounding streets. 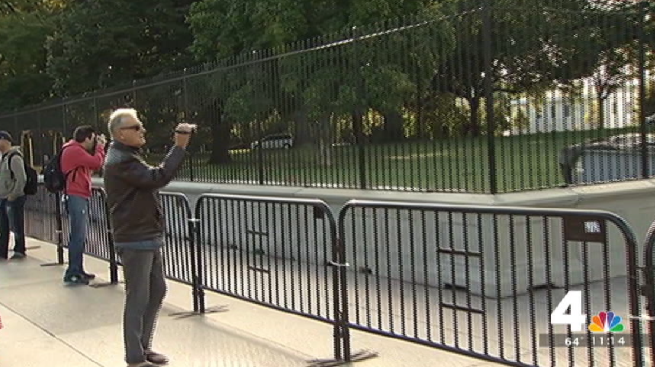 Sources tell News4's Jackie Bensen the White House fence-jumper should have been on the Secret Service's watch list following an incident last month when he was found with a hatchet near the presidential residence. And around 11 p.m. Monday, people on the sidewalk in front of the White House were asked to move to the street, increasing the permiter around the presidential residence during overnight hours. Discussion continues whether to have checkpoints for pedestrians entering the area. 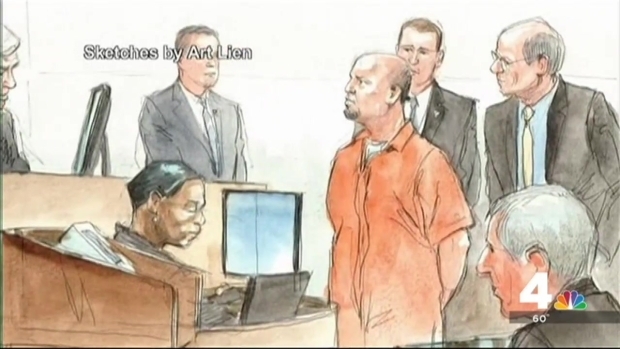 On Monday, prosecutors said that Omar Gonzalez, the man who got into the White House last week, had more than 800 rounds of ammunition in his car, as well as two hatchets and a machete, NBC News' Kristen Welker reported. Gonzalez had a small folding knife when he was apprehended inside the White House, authorities said. He allegedly told Secret Service agents after Friday's arrest that he was "concerned that the atmosphere was collapsing" and needed to contact the president "so he could get word out to the people." In July, Gonzalez was arrested in Virginia for reckless driving. During the stop, police found weapons and a map of D.C. with the White House circled. He was stopped outside the White House last month with a machete, but wasn't arrested. Gonzalez had served in the Army from 1997 until he was discharged in 2003, and then again from 2005 until he retired in December 2012. A Secret Service report says there have been hundreds of security breaches at the White House since the 1970s. Mark Segraves reports. Jerry Murphy, whose mother was married to Gonzalez for several years, said Gonzalez suffers from post-traumatic stress disorder and needs treatment. He said Gonzalez had been driving around the country and living out of his truck for the past couple of years, and that he always carries his knife. In court Monday, prosecutors called Gonzalez a "danger to the president," but his ex-wife, Samantha Bell, says had no intent of hurting anyone. "He's not in his right mind," Bell told NBC News. "Who jumps the fence knowing you can get shot and killed? Who goes and tries to tell the president the atmosphere is collapsing? Who does that? He did, because he's not -- he's mentally unstable." President Barack Obama said he still has complete confidence in the ability of the Secret Service to protect him.